Parents can support their child's vocabulary skills through read alouds at home. Find out about Tier 1, Tier 2, and Tier 3 vocabulary words and terchniques for informal teaching while you read aloud. Special literacy events and celebrations can be a great way to get kids excited about books and reading. But for kids who struggle with reading, these kinds of events can challenge their self-confidence. 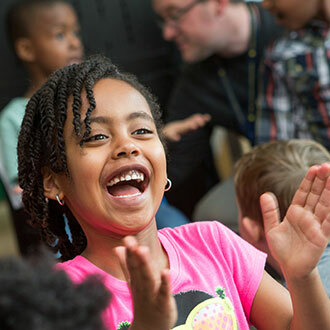 Here are 15 strategies to help you plan a successful, joyful reading event for all kinds of readers and learners. Whether your child has mild or severe Autism Spectrum Disorder, making reading a fun activity can help your child's learning and social skills. You'll find sharing books together can be a good way to connect with your son or daughter. Reading also helps your child's language development and listening skills. 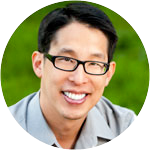 National Ambassador for Young People’s Literature Gene Luen Yang calls us all to read Without Walls, exploring books about characters who look or live differently than you, topics you haven’t discovered, or formats that you haven’t tried. Dialogic reading involves an adult and child having a dialogue around the text they are reading aloud together. Learn how to use this strategy effectively to help kids build vocabulary and verbal fluency skills and understand story structure and meaning. Downloadable handouts to help guide parents in using dialogic reading are available in English and 14 other languages. How do you choose books to read aloud with your child? There are many things to think about: how interesting the topic or characters might be for your child; an intriguing setting, time period, or plot; the liveliness or beauty of the language; or how engaging the illustrations are. Some books are more appropriate based on social and emotional development at each stage of a young child's life. Find guidance here in choosing great read alouds. Wordless picture books may be better defined by what they do contain — visually rendered narratives — rather than what they do not contain. This article challenges traditional ways of looking at wordless picturebooks and offers a few approaches for integrating wordless picturebooks into a wider range of classrooms, preschool through middle school. A classroom teacher examines the importance of the nonfiction read aloud as part of ongoing daily instruction, and highlights the need to empower students in both academic achievement, and as life long lovers of nonfiction, through focused informational literature. Electronic books are becoming more and more commonplace. Here you'll discover practical tips for sharing e-books with your child, and how to keep the focus on reading and the story. The research is clear that children who don't read during the summer can lose up to three months of reading progress and that loss has a cumulative, long-term effect. 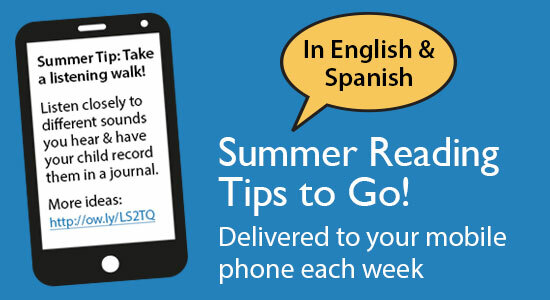 The following resources and articles provide information about summer reading and summer learning loss. Plus you'll discover great activities to encourage kids to learn, read, and have fun in the summer sun. To get the most out of a shared reading, encourage your child to appreciate the pictures, and also guide their attention to printed words. 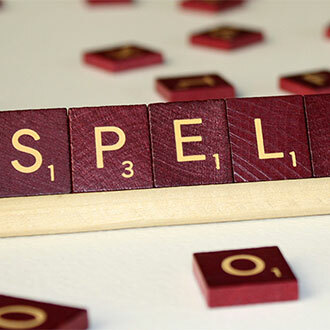 Doing so may help your child's reading, spelling, and comprehension skills down the road. Reading stamina is a child's ability to focus and read independently for long-ish periods of time without being distracted or without distracting others. Find out how you can help your child develop reading stamina. Reading aloud is one of the most important things parents and teachers can do with children. Learn about how reading aloud builds important foundational skills, such as introducing vocabulary, building comprehension skills, and providing a model of fluent, expressive reading. And get tips on how to make the most out of your read alouds. Helping children understand the concept of sequence develops both literacy and scientific inquiry skills. Here are a few simple activities that families can do together to give kids opportunities to observe, record, and think about sequencing. Find tips on how to read with your child from the time he is born, learn how to build comprehension and critical thinking skills during read alouds, browse our book-centered activity packs, and discover links to dozens of themed book lists. If your child has ADHD, paying attention for long periods of time can be a challenge. So, meet the challenge head-on — make reading time fun time for you and your child. Children with speech and language problems may have trouble sharing their thoughts with words or gestures. They may also have a hard time saying words clearly and understanding spoken or written language. Reading to your child and having her name objects in a book or read aloud to you can strengthen her speech and language skills. You'll find sharing books together is a great way to bond with your son or daughter and help your child's development at the same time. Give your child a great gift that will last for life — the love of books. You'll find sharing books together is a great way to bond with your son or daughter. Reading also helps your child's language development and listening skills when you talk about the story and ask questions. Large print books can help a child with mild to moderate vision loss discover the world of books and make tracking the words easier. Cerebral palsy can cause difficulty with muscle tone and control. Your child may have delays speaking or have speech that is hard to understand. Reading with your child and having your child name objects in the book or read aloud to you can strengthen his speech skills. You'll find sharing books together is a great way to bond with your son or daughter and help your child's development at the same time. Like all children, your child will learn and develop, yet she will likely develop more slowly than other children her age. Reading aloud and talking about the story and the pictures will help your child improve her vocabulary and help teach grammar. Here are some other tips to help your child enjoy books and reading. Learn about evidence-based practices that encourage first graders' engagement with texts. 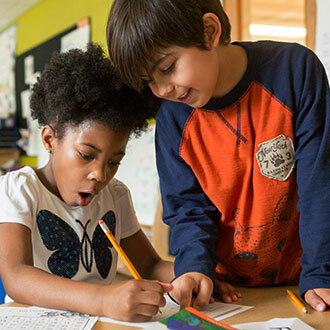 The authors review reading as a transactional process, revisit the benefits of reading aloud to students, discuss three literacy strategies implemented in one first-grade classroom, and share examples of student work. Critical thinking, the ability to think deeply about a topic or a book, is an essential skill for children to develop. Here are some helpful tips and recommended books to strengthen your child's ability to think critically. Sharing poetry with kids is a great way to highlight language. Poems offer humor, interesting words, tongue twisters, alliteration, and opportunities for choral reading (reading together). Find out how to plan a lively and fun family poetry jam! It's important to remember that a lack of sleep can greatly impact your preschooler's behavior and ability to have a good day at preschool. Try this little experiment with your child to make sure they understand and maintain an appropriate sleep schedule. Combine Dr. Seuss and your local newspaper for some reading and writing fun in your classroom or at home. As parent, you know how important it is to set aside some time everyday to read with your baby or toddler. If you've got a squiggler in your house, see if these tips help your reading time go a little more smoothly. Reading aloud is a common practice in primary classrooms and is viewed as an important vehicle for vocabulary development. Read-alouds are complex instructional interactions in which teachers choose texts, identify words for instruction, and select the appropriate strategies to facilitate word learning. This study explored the complexities by examining the read-aloud practices of four primary teachers through observations and interviews. Most beginning readers are inconsistent. Learn more about the characteristics of a beginning reader and simple techniques and tips to nurture your child's skills and joy in reading. Libraries are great resources for families with young children; you can find books, entertainment, educational and cultural enrichment, literacy tips, and other valuable information. Here are nine reasons to visit your public library! Reading with comprehension means understanding what's been read. It takes practice, time, and patience to develop reading comprehension skills. Here is a before-during-after approach that families can use to help children learn to read for understanding. Honoring books for self-selection, sharing the excitement of read-alouds, building a balanced book collection, making your passions public, and providing rewards that demonstrate the value of reading are just a few simple but transformative suggestions that can nurture the love of reading in your classroom. While parents understand the importance of reading to children, it is often a struggle to read to two. How can parents negotiate the "book wars," when one child only wants to read chapter books and the other insists on reading picture books? What can parents do when one child wants to read about dinosaurs and the other wants to read about ballerinas? Dads play a critical role in their children's literacy development by modeling reading, sharing stories, exploring the world together, and engaging in meaningful conversations that build critical thinking skills. Here are a few suggestions to help fathers strengthen their literacy connections with preschoolers. Read early and read often. The early years are critical to developinga lifelong love of reading. It's never too early to begin reading to your child!The tips below offer some fun ways you can help your child becomea happy and confident reader. Try a new tip each week. See whatworks best for your child. Play with letters, words, and sounds! Having fun with language helpsyour child learn to crack the code of reading. The tips below offersome fun ways you can help your child become a happy andconfident reader. Try a new tip each week. See what works best foryour child. Every time you pair a book with an experience, you are giving your child an opportunity to learn more about their world. Find suggestions for books and corresponding activities to extend your preschooler's reading experiences. Many New Year's resolutions focus on developing healthy habits. Here's one that is important to make and keep: provide a regular diet of books and reading for your preschooler. Try this menu of reading activities. Do you enjoy reading? Do you look at the newspaper? Read magazines? Go to the library? Chances are, if you do any of these activities, your preschool child is on his way to becoming a reader. The home is the child's first classroom and parents are the first teachers. Parents who read to their children everyday and talk about what they are reading together promote a joy of reading and literacy achievement. How can teachers encourage reading at home and support the role of parents as educators? One way is through the use of our reading adventure packs — a theme-based collection of books and related interactive activities that kids bring home from school to share with their family. As a parent of a beginning reader, it's important to support your child's reading efforts in a positive way and help them along the reading path. Here's a little information about beginning readers, and a few pointers to keep in mind. Even the youngest child is somewhere on the path to becoming a reader. As a parent, it's important to support your child's efforts in a positive way and help him or her along the reading path. Here's a little information about emergent readers, and a few pointers to keep in mind. Discover 20 ideas for including all students in classroom read alouds. 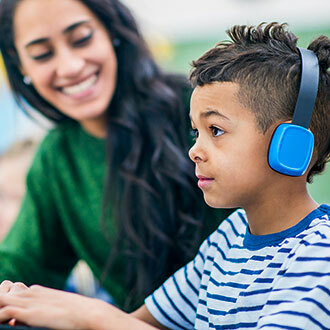 These suggestions may work for students who need to fidget during whole-class instruction, those who need materials to keep focused, and those who require alternative ways of demonstrating attention, engagement, and interest. Research has demonstrated that the most effective read-alouds are those where children are actively involved asking and answering questions and making predictions, rather than passively listening. This article describes in detail a technique for a three-step interactive read-aloud using sophisticated storybooks. Bedtime stories aren't just for tiny tots: older children enjoy them, too. Here are some tips. Your child walks like you, talks like you, and absorbs everything you do. So set the right example when it comes to reading. If you want your child to be a good reader, be one yourself! Parents — you are your child's most important teacher! Using a few of these ideas, you can help your child enter the classroom ready to read. Favorite stories get shared many times over. Here's some advice about how to find a good children's book and what to do once you're reading together. Read about it, talk about it, and think about it! Find ways for yourchild to build understanding, the ultimate goal of learning how toread. The tips below offer some fun ways you can help your childbecome a happy and confident reader. Try a new tip each week. Seewhat works best for your child. Find ways to read, write, and tell stories together with your child.Always applaud your young reader and beginning story writer! Thetips below offer some fun ways you can help your child become ahappy and confident reader. Try a new tip each week. See whatworks best for your child. Reading with your grandchild is one of the most important activities you can do together. This article will give you some tips as to how to make the most of this special time. Use the power of stories to explore what's different and the same, new and shared, about ourselves and our experiences. These nine books find wonderful ways to express universal themes through African Americans, both fictional and real. 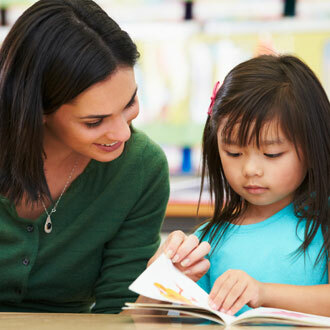 Guided oral reading is an instructional strategy that can help students improve a variety of reading skills, including fluency. 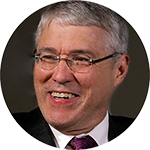 This article explains how to implement it in your classroom. This article from the National PTA features ideas on how to help your school age child improve their reading skills and tips on how to develop pre-reading skills in younger children. Parents want the best for their children. Reading can open a window on the world, bringing chances to learn, enjoy and create. Even though schools teach reading and writing, home is the first and best place for your child's love of reading to grow. How can you help kids develop print awareness? Here are some sample questions and prompts you can use before, during, and after a read aloud activity to help children activate basic knowledge about print and books. Combined-text books integrate a story format and an expository or informational format within one book. When used for instruction, combined-text books are best read in layers: illustrations; informational text; narrative text; and additional details, such as sketches and page borders. Addressing various layers individually during read-alouds provides a perfect opportunity to model revisiting text for various purposes. We asked the parents and teachers who frequent our web site for their ideas about how to encourage kids, especially those who aren't excited about books, to do more reading. Thanks to all you tip-sters out there, we received tons of advice, which we've summarized in the seven tips below. This advice for parents details what they can do to help preschoolers become readers, and help school-age children improve their reading skills. One of the keys to helping struggling readers is to provide them with books that they can and want to read. Fiction for struggling readers must have realistic characters, readable and convincing text, and a sense of the readers' interests and needs. 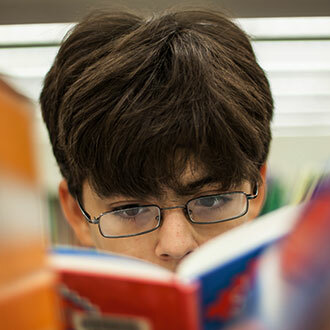 Non-fiction books, newspapers, magazines, even comic books can hook students on reading. Children learn when they make connections between what they hear and what they know. One method parents can use to help make these connections is called a think aloud, where you talk through your thoughts as you read. There's more to sharing a book than reading it aloud to your child. Here are some tips for when and how to share books, and why it is so important.